B’s poached eggs inspired me. 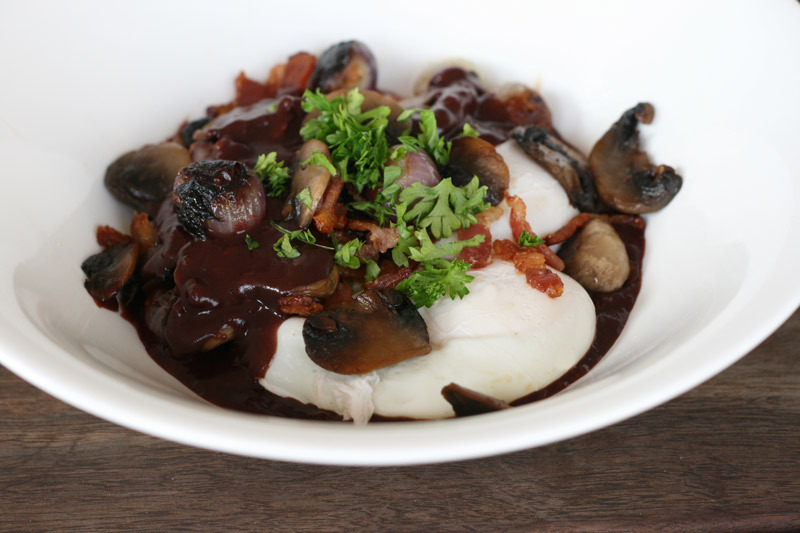 I love love love poached eggs, to the point where I even braved the scary sounding “Oeufs en meurette” which translates as “Eggs in red wine sauce” when I was in France many moons ago. Oh, they were incredible, unexpected, and something I would never have thought I would attempt to make. But that’s what this blog challenge is for me, taking inspiration from B, and trying new things. I am living in Trinidad, so often ingredients are not available week to week, or even at all… but this recipe was almost all in my fridge and cupboards. I was nervous about attempting B’s poaching method, as I usually poach eggs in a shallow pan, but I bought fresh eggs, crossed my fingers, and it was surprisingly easy. I used red wine vinegar in my poaching water, as a tip of the hat to the theme. The lineup… bacon, shallots, button mushrooms, cocktail onions, butter, chicken stock, red wine, pepper, salt, bay leaf, thyme, sugar and flour. Cut and then sauté the bacon in a pan. 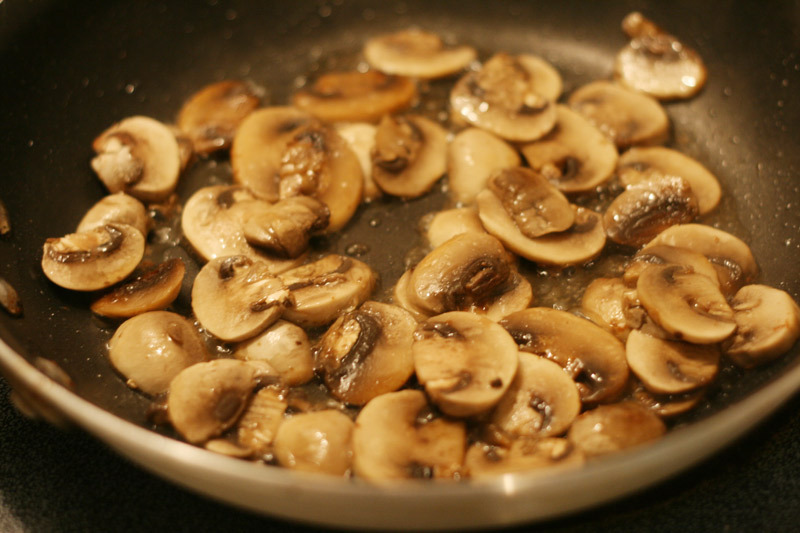 Remove the bacon to a plate when nicely browned, and using the same pan cook the mushrooms in the remaining bacon fat . 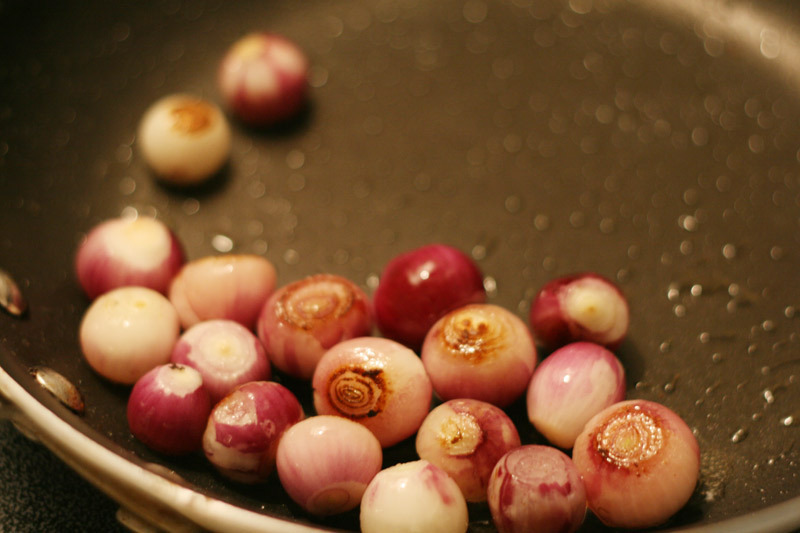 Remove the mushrooms when cooked, and add the cocktail onions to the pan. I still had plenty of grease in the pan, but you could add a little butter if you need to. Cook the onions until transparent, and ready to eat. Then set them aside along with the bacon and mushrooms. 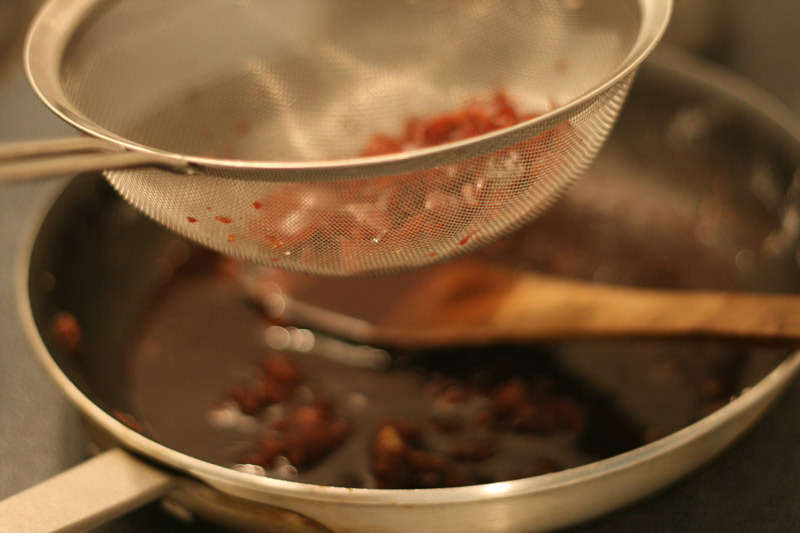 To make the sauce, combine the red wine, stock, salt, pepper, thyme, bayleaf and sugar and roughly chopped shallots, in a saucepan. And boil briskly until the liquid is halved. 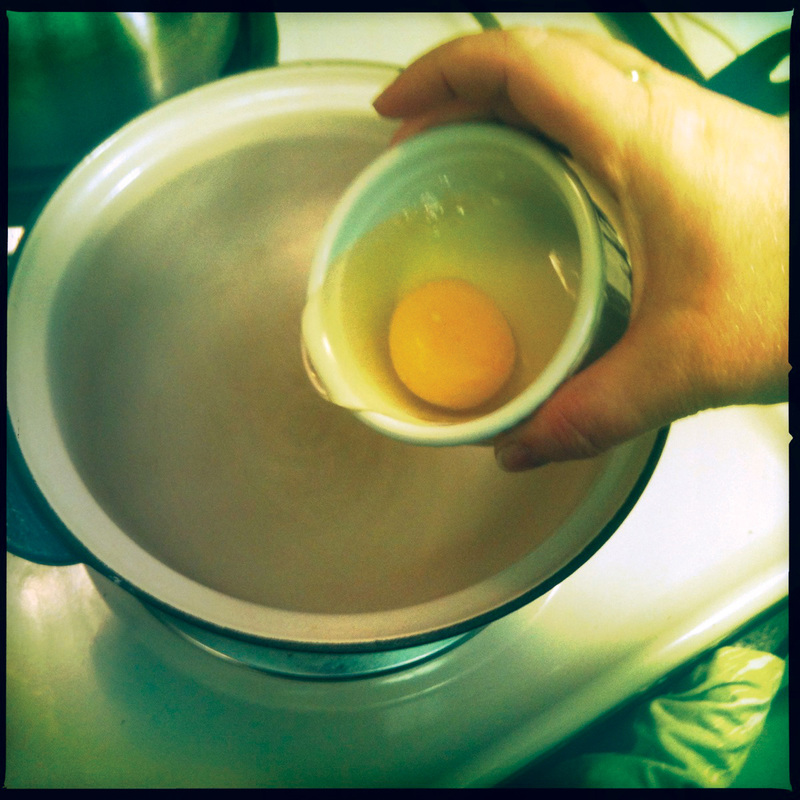 While your sauce cooks down, poach your eggs using B’s Method and keep warm in ramekins in a warm oven. 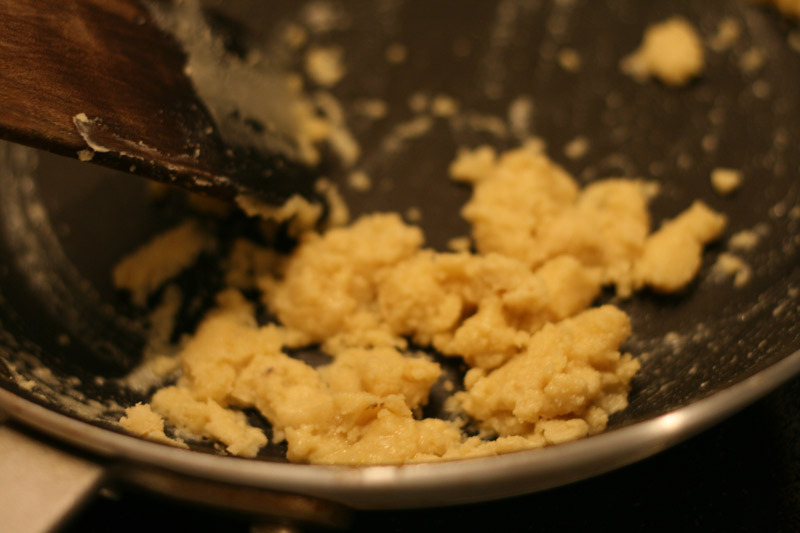 Make a roux in a clean pan by melting the butter over a low heat and stirring in the flour. Cook for a few minutes over low heat. When the wine is reduced add the liquid slowly to the roux, and stir out any lumps that may (or in my case *will*) form. 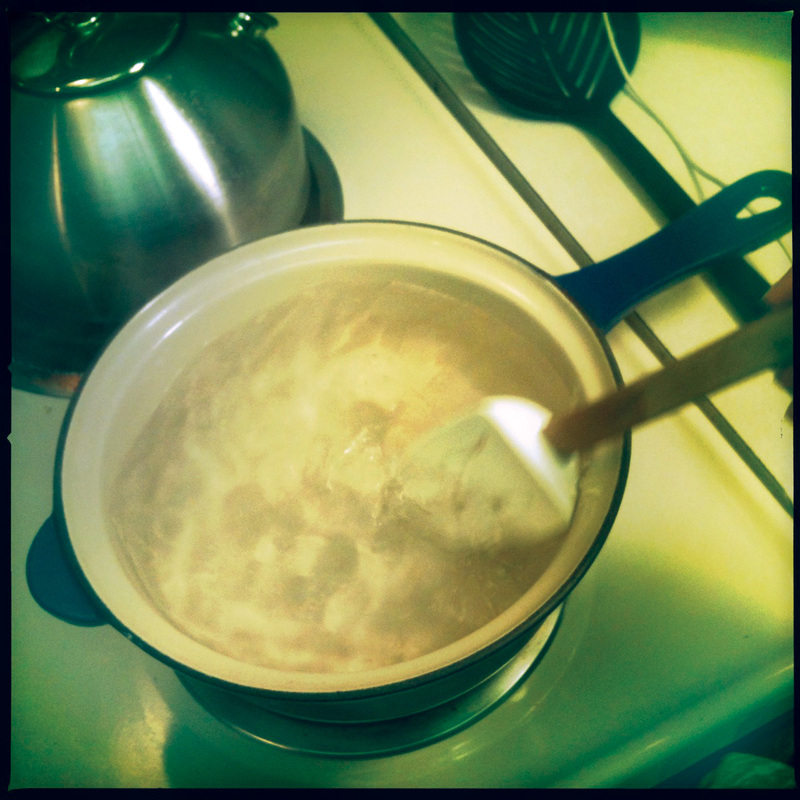 Strain the rest of the remaining wine mix in to the pan with the roux and mix well. You will have less roux, I overdid it and removed half. 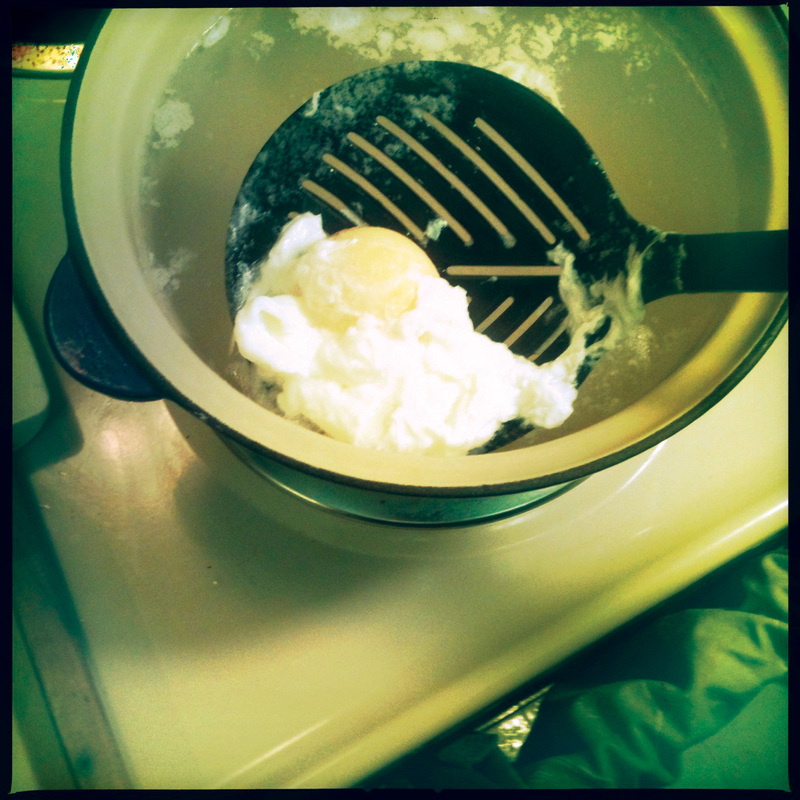 Add a wee knob of butter to the sauce to gloss it up a little, mixing it off the heat. 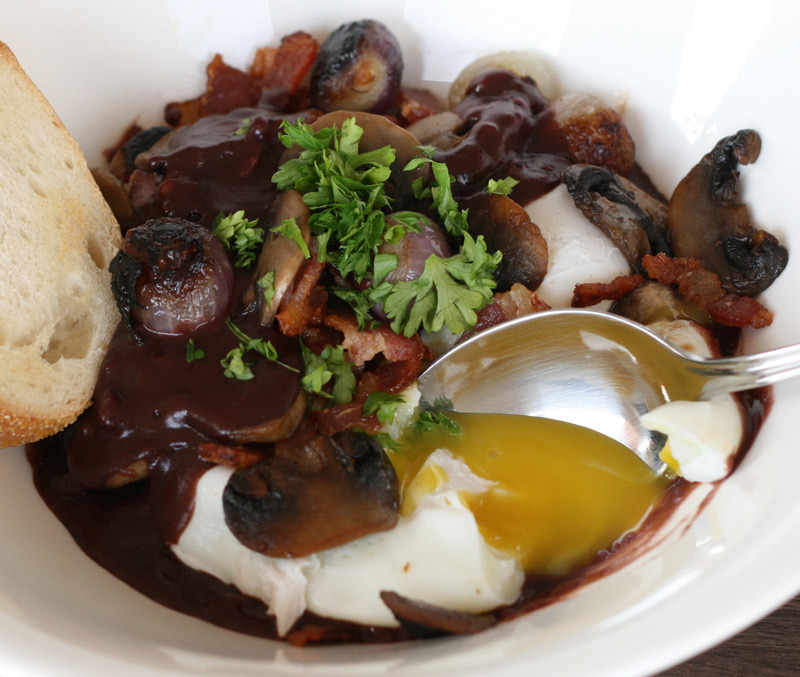 In a plate with a little depth or a bowl, spoon in some of the sauce, sprinkle in some of the bacon, mushroom and onion, add two poached eggs. Add more sauce, bacon, mushroom and onion, and then garnish with parsley or chives. Serve with some lightly toasted bread, warmed chunks of baguette would be dreamy. My trusty taste tester didn’t wait to sit down. The verdict… oui, oui, OUI! 2 1/2 cups red wine, burgundy or pinot noir if possible. Serve with crusty bread and a sprinkle of parsley or chives. 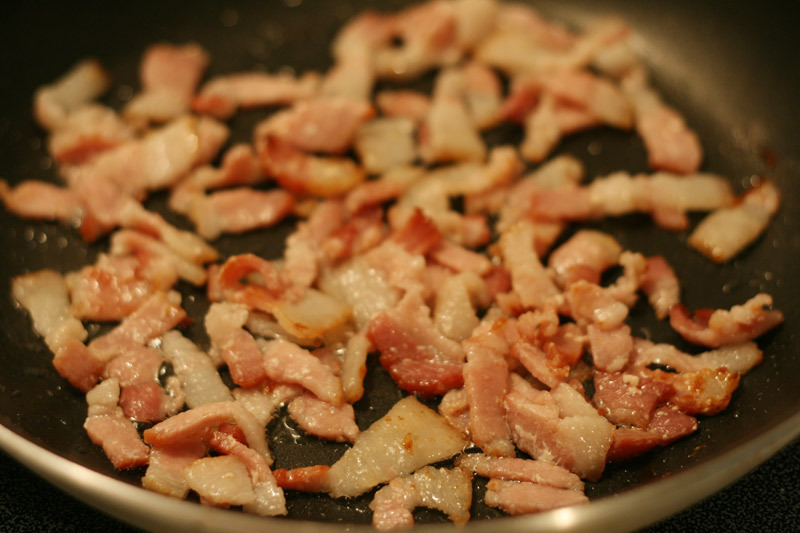 Chop the bacon and sauté, when cooked scoop the bacon out onto a plate keeping any fat in the pan. 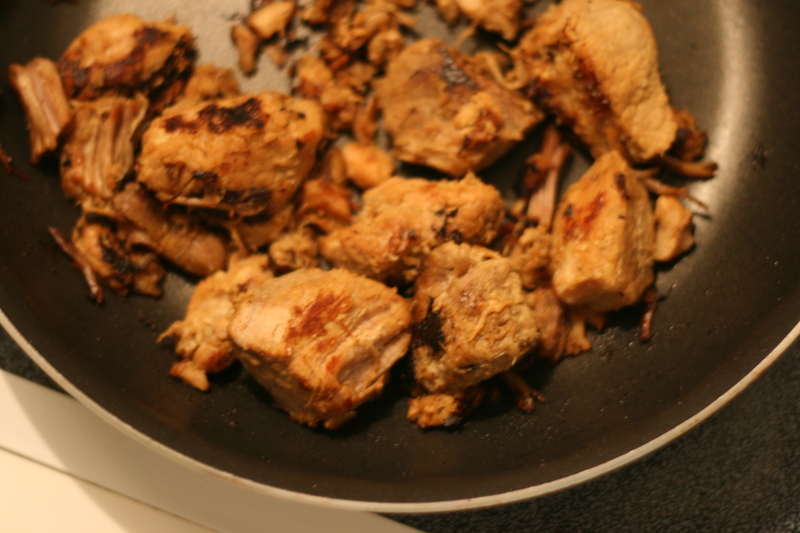 Add the chopped mushrooms to the pan and cook gently in the existing fat. 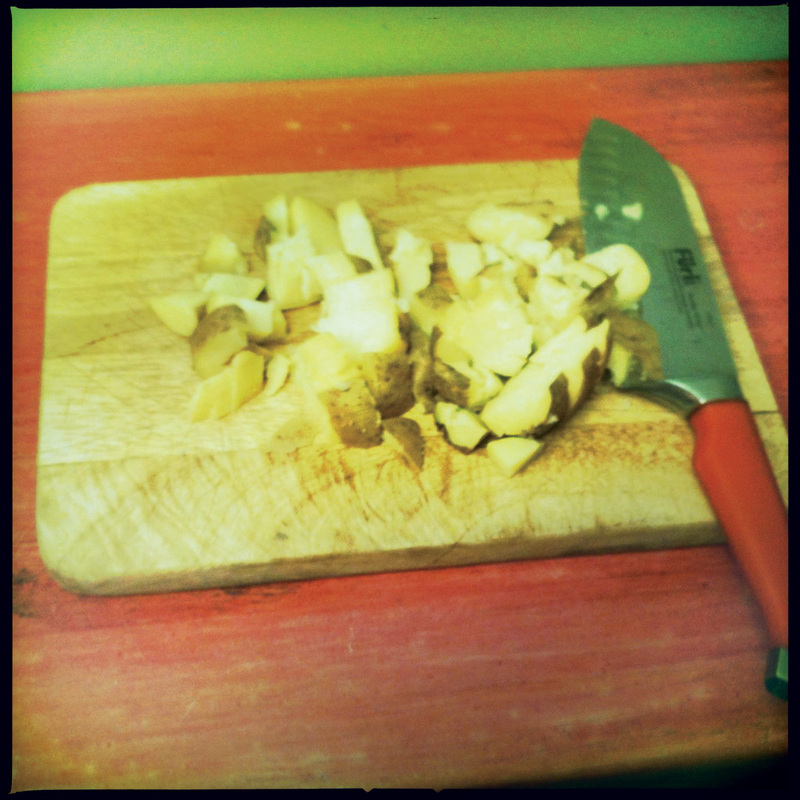 When cooked, set aside. Saute the peeled cocktail onions once again in the same pan, adding a touch of butter if more fat is needed. When cooked to transparent, set aside. 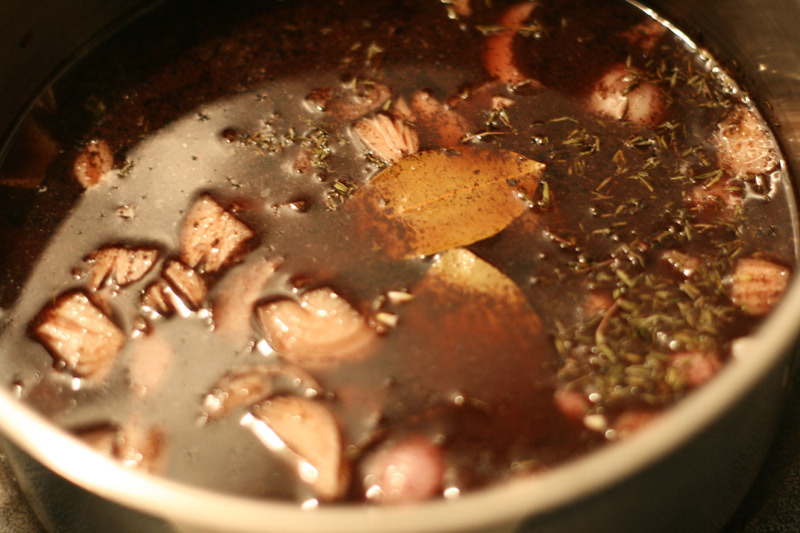 Start the red wine sauce by putting the red wine, stock, roughly chopped shallots, bay leaf, thyme, salt, pepper and sugar in to a saucepan and boiling briskly. 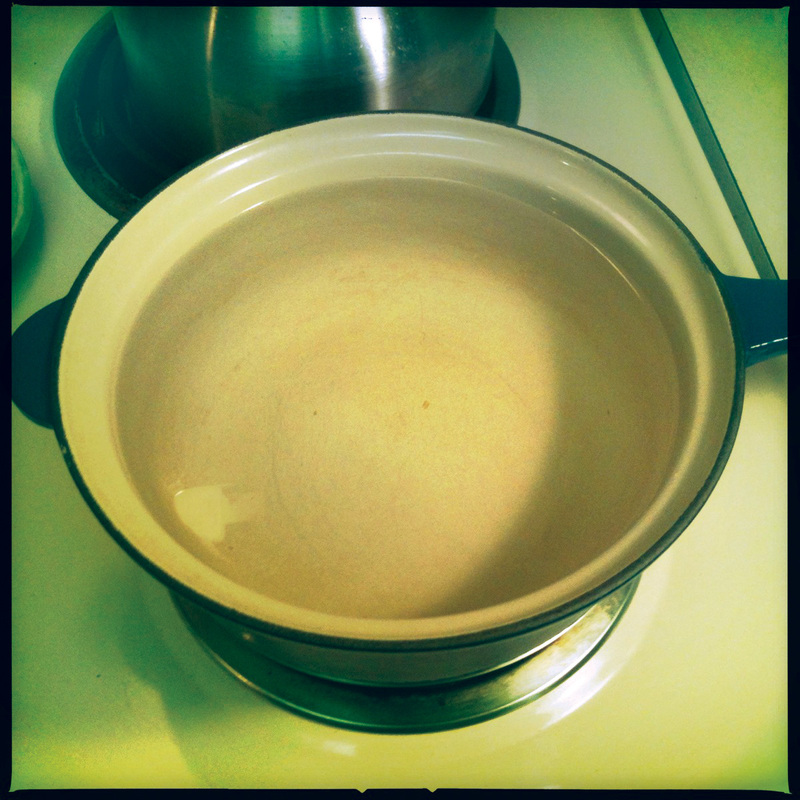 Continue boiling until the liquid halves in volume. Meanwhile, poach the eggs in water with red wine vinegar following the technique described here, and keep warm in individual ramekins in a low heat oven. 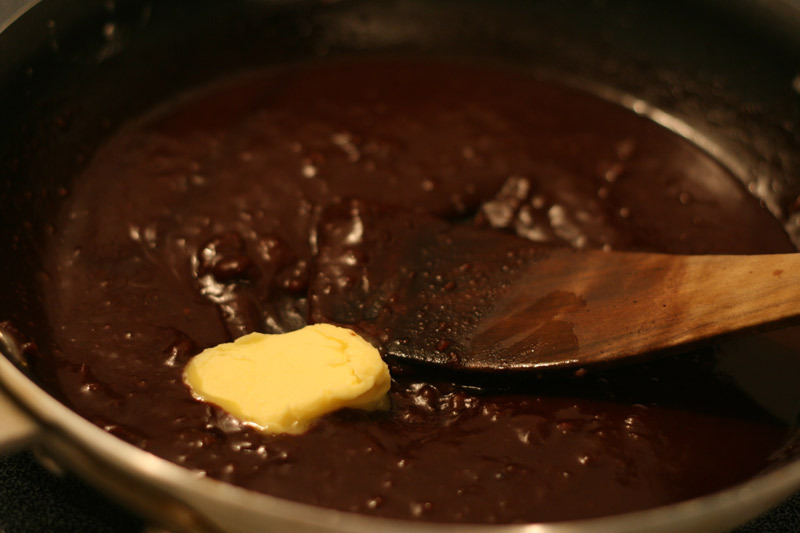 When the red wine reduction is ready, make a roux by melting a tablespoon of butter in a fresh pan, and mixing in the flour well. 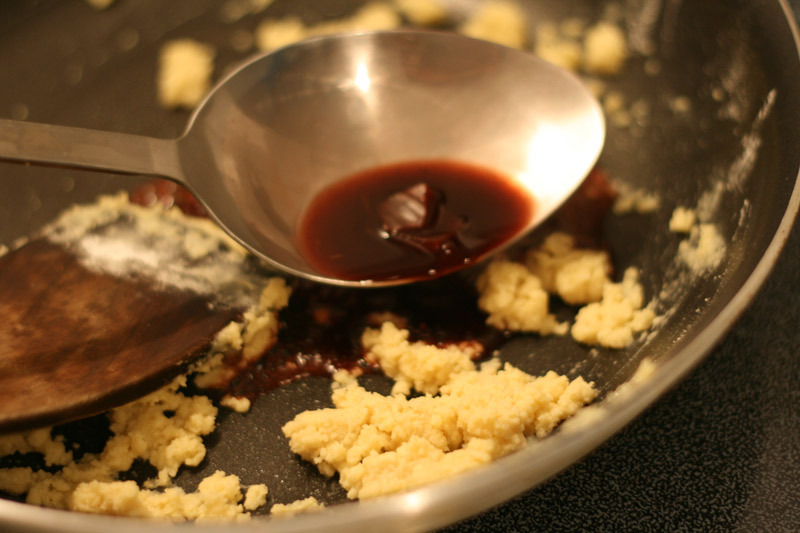 Cook gently before adding in a few spoonfuls of the reduction to slowly thin the floury mix. Then strain the rest of the reduction straight in to the pan with the roux and mix well, removing any lumps that may form. Finish the sauce with the remaining butter, stirring well, removed from the heat. 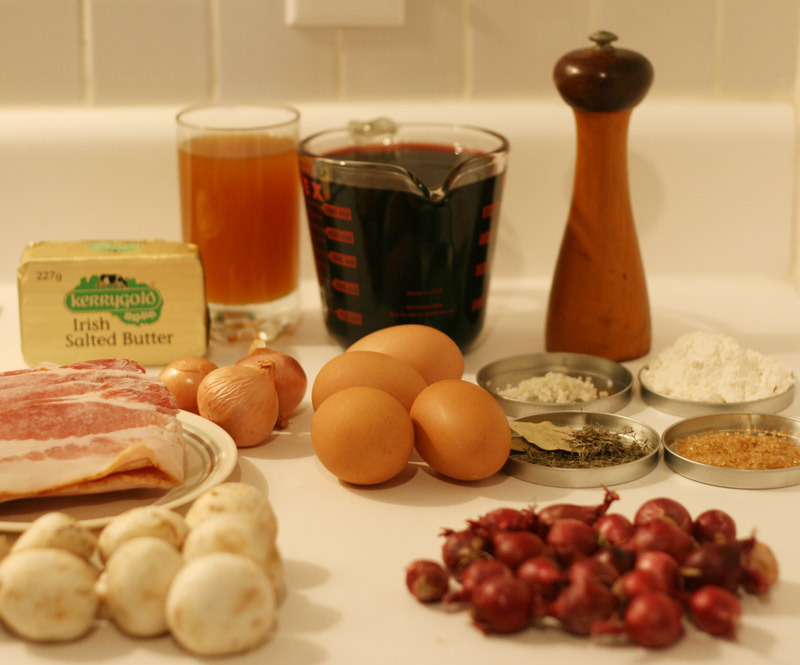 Place some sauce in the base of a bowl, and layer up the eggs, mushrooms, bacon and onions. Garnish with some fresh herbs. Mmmmmmm, Carnitas! has been my mantra since I first made them a month ago. These tender but crispy bits of pork shoulder are packed with flavor and add an extra punch to any meal. Since Alice and I have been talking about this blog, we’ve come up with and promptly discarded quite a few different concepts, but this one seems to be a winner…after each of us has been tagged, we must post about a dish that we made using an ingredient or concept from the previous post. 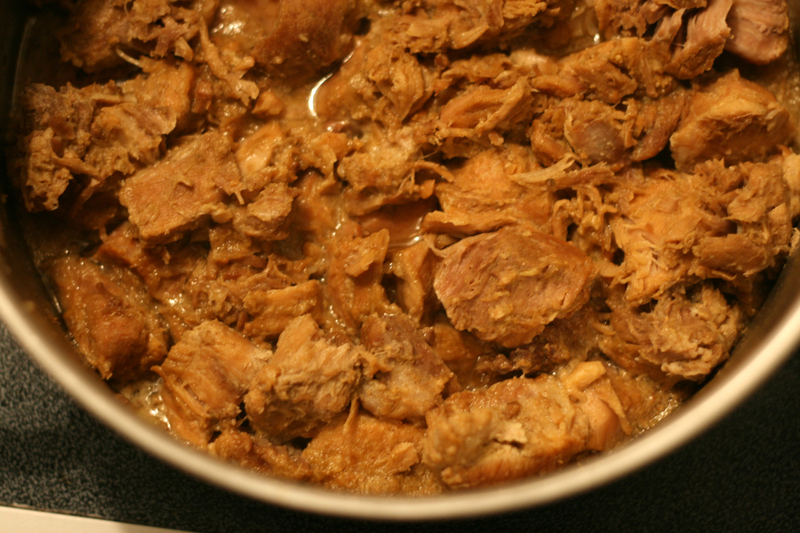 Carnitas are fun to work with and so I’m off on my quest to use up some leftover carnitas in a new and different way. I love nothing more than to pull things out of my fridge and give them new life as a brand new dish. 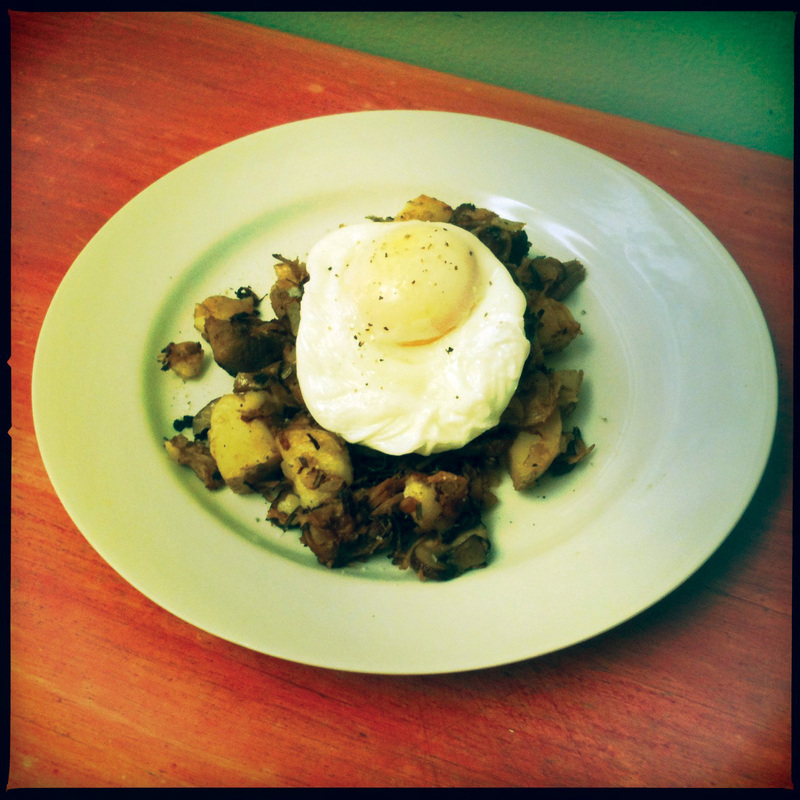 So today I give you Carnitas Hash. 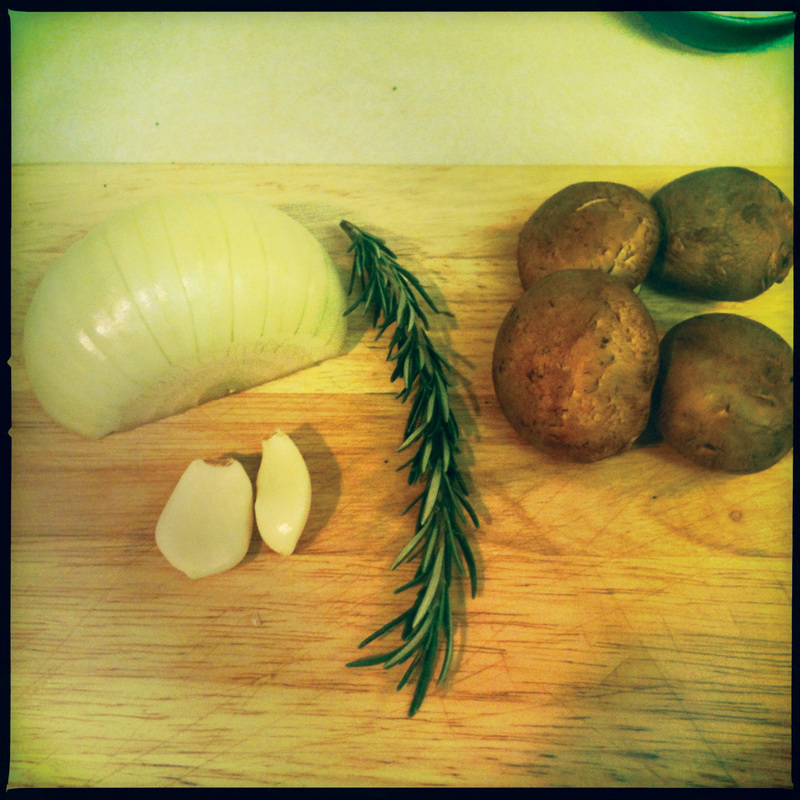 I chopped up half an onion and sauteed it along with a little garlic, fresh rosemary and sliced mushroom. 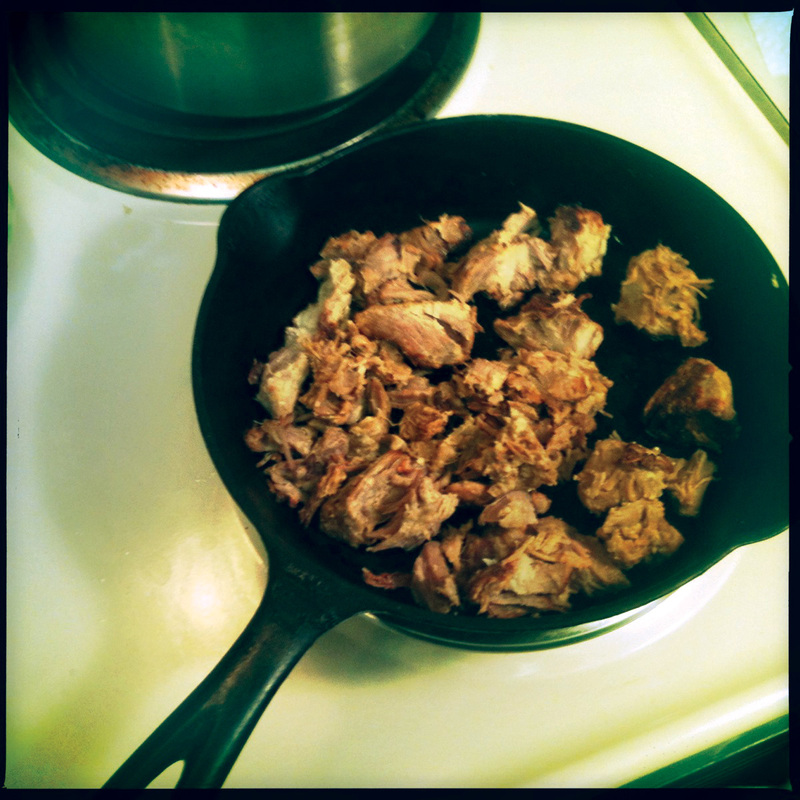 In a separate pan, I browned up the carnitas before adding them to the mix. This is a new skill I’m working on. I love soft boiled eggs, I eat eggs boiled, fried and scrambled, but have always been too intimidated to attempt a poached egg. 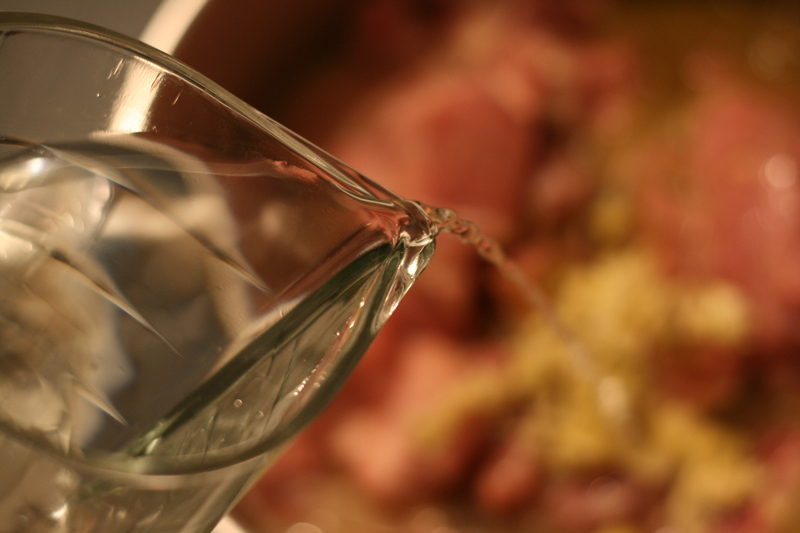 Bring water to a simmer – not a boil. Add a splash of vinegar to the water. 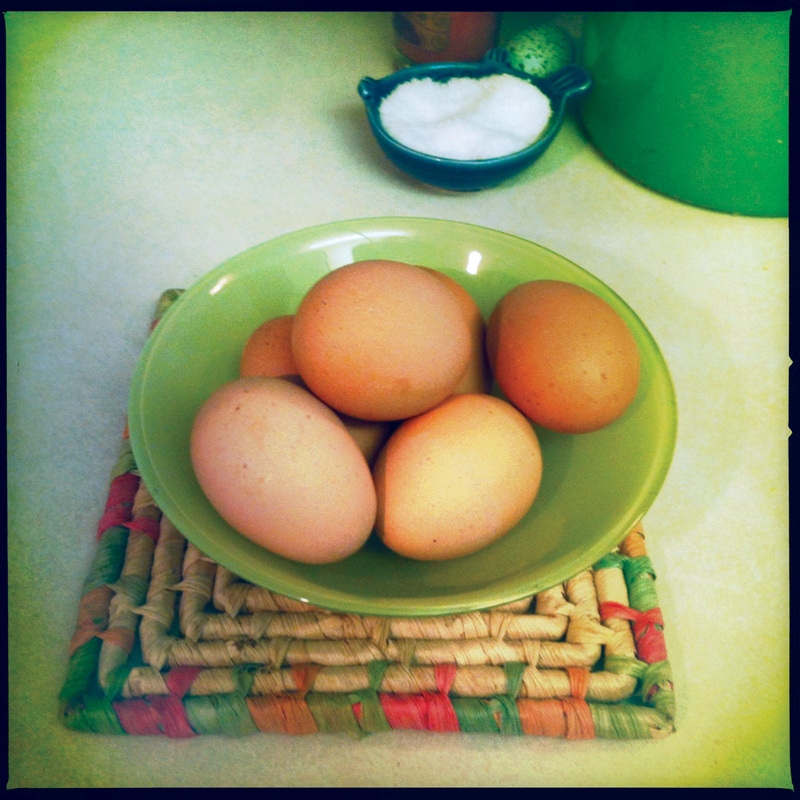 Crack egg into a small bowl. tuck the stray whites back, and cook for about 3 minutes, or until it has reached the desired doneness. 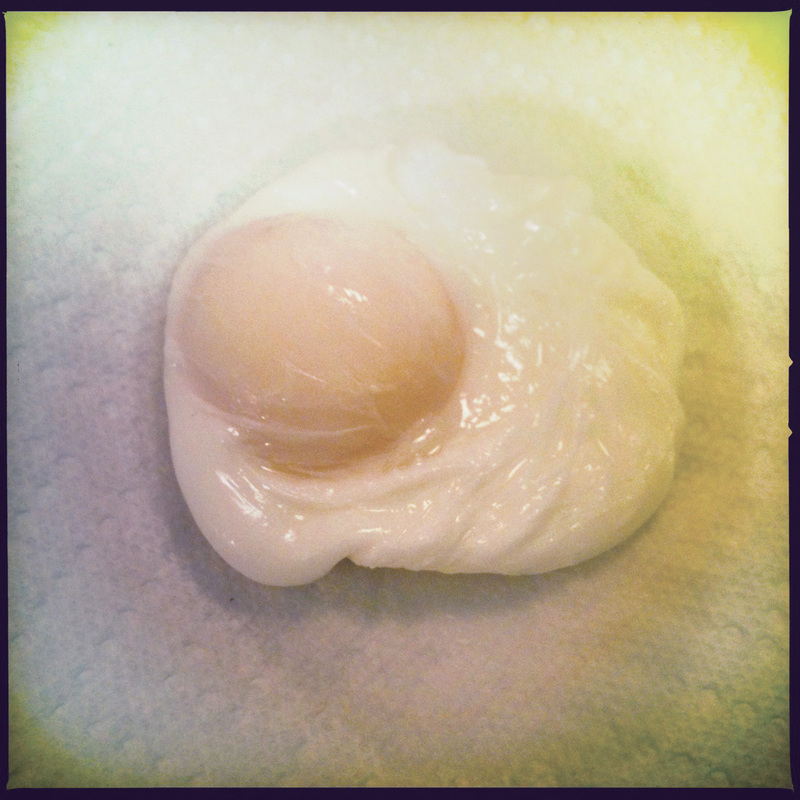 Remove the egg from the water with a slotted spoon and drain on a paper towel. 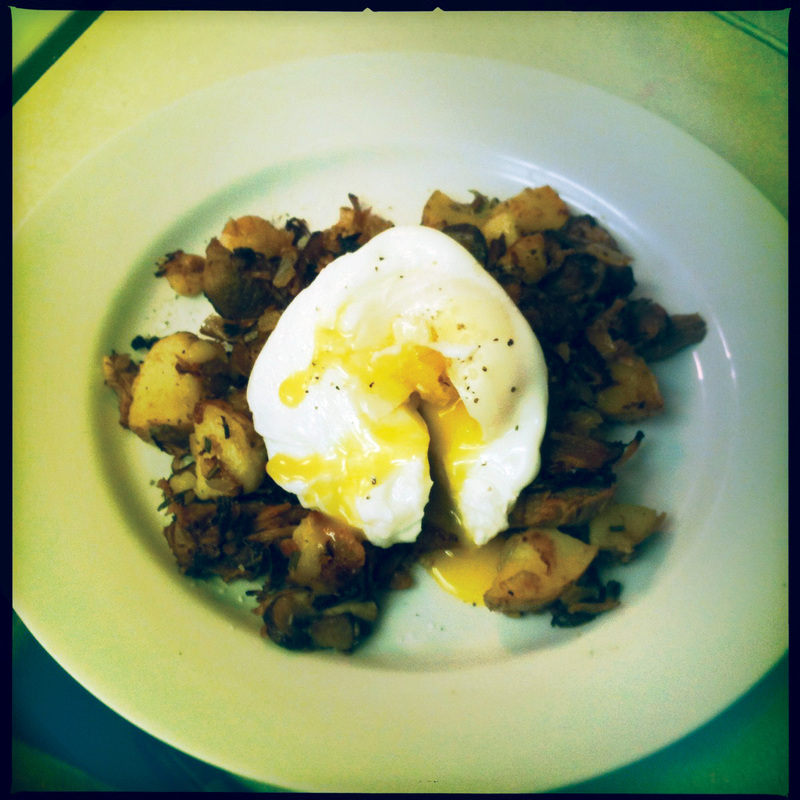 Then perch the egg atop the delicious hash and eat! In a medium frying pan over medium heat, melt butter, then add garlic and rosemary. Sautee for 1 minute, then add the onion and sautee until it starts to soften. 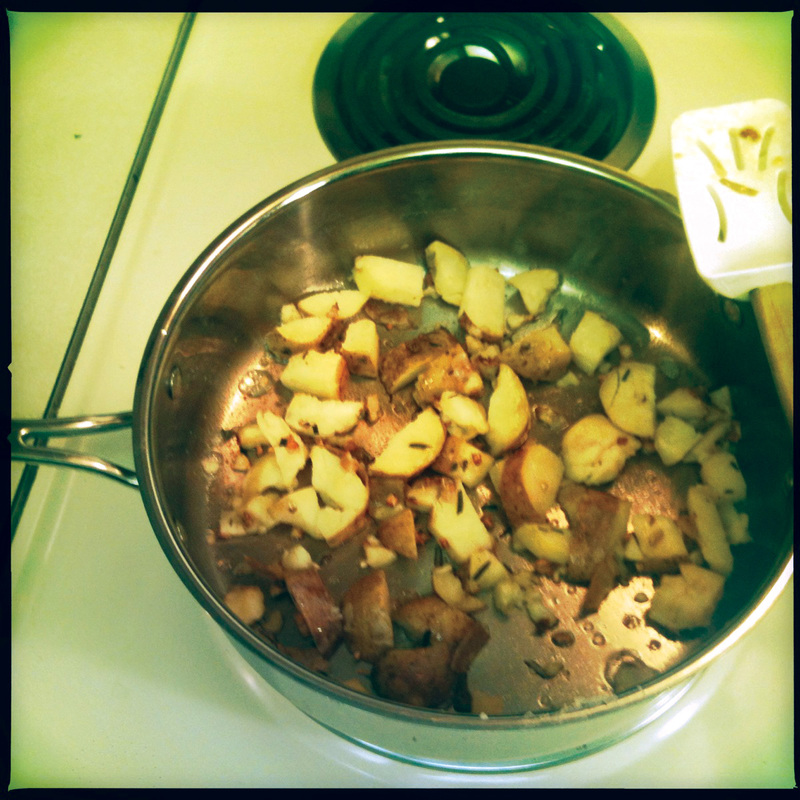 Then add potatoes and mushrooms and allow to brown, stirring as needed. In a separate pan over medium heat, heat up carnitas and allow to brown and crisp, then combine with potato mixture. And now, TAG Alice…you’re it! B grew up in Brazil, and has introduced me to a bit of Brazilian cooking over the past year. Absolutely delicious. She said she was making Carnitas one day, and directed me to the recipe she uses. Oh boy. Even a non-pork lover like me is all over these crispy, tasty morsels. These Carnitas, ‘little meats’, are slow braised pork shoulder, which are then cooked down and browned in their own juices and fat. So you have the juicy braised meat with a crisped outer layer, and then the smaller crunchy pieces that taunt you with pleas of “eat me straight out of the pan”. Which of course, you must obey. This will yield quite a deal of finished Carnita meat, we served 9 portions, but it is the size of shoulder I can find here in Trinidad. 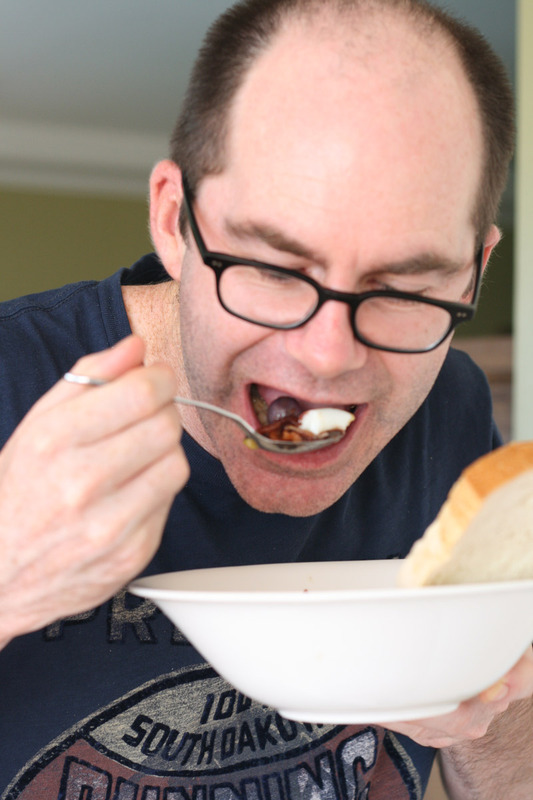 Feel free to reduce the quantities, just adjust your ingredients to suit. 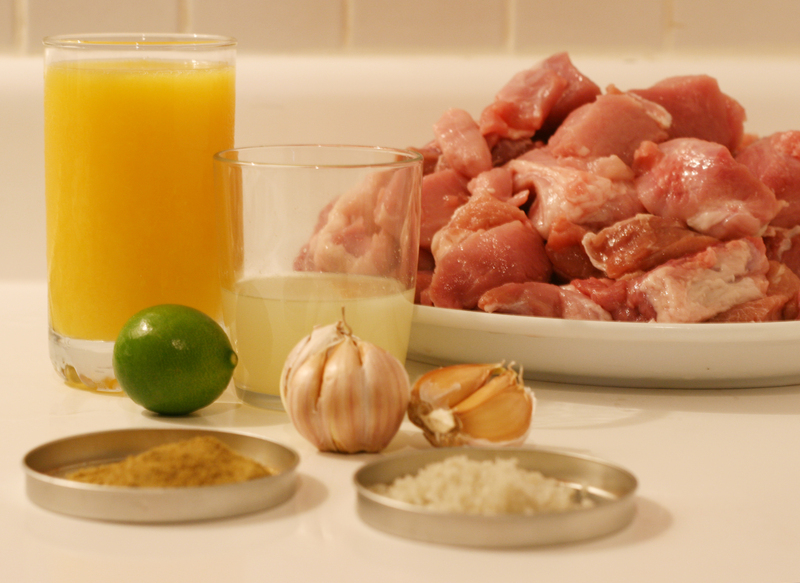 My posing ingredients are cubed boned pork shoulder, orange juice, lime juice, garlic (minced), ground cumin and good quality salt. Put all of the ingredients in to a heavy based or cast iron pot, and top up with enough water to just cover the meat. Bring the pot to the boil, and then reduce heat. Simmer uncovered for three hours, and then increase the heat to cook off some of the liquid. For the next hour or so turn the meat gently from time to time, until the liquid is low in the pot. The next stage is to reduce down and render the meat in its juices and fat. I just cook down the amount we will be eating for that meal, and refrigerate the rest for later. They do improve over time. 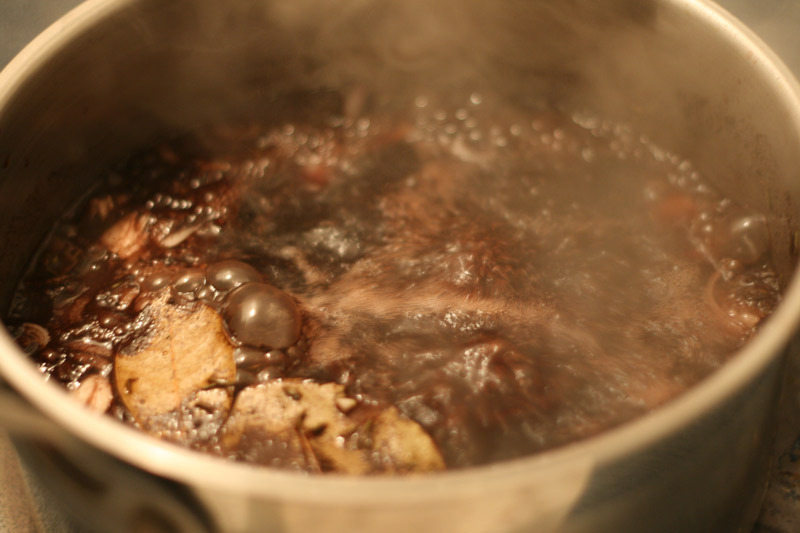 On medium-low heat cook the meat down until it is browned and is caramelised on the outside, turning minimally. You could use the same pot, but I use a non-stick pan to ensure I lose none of my meat to the pan. 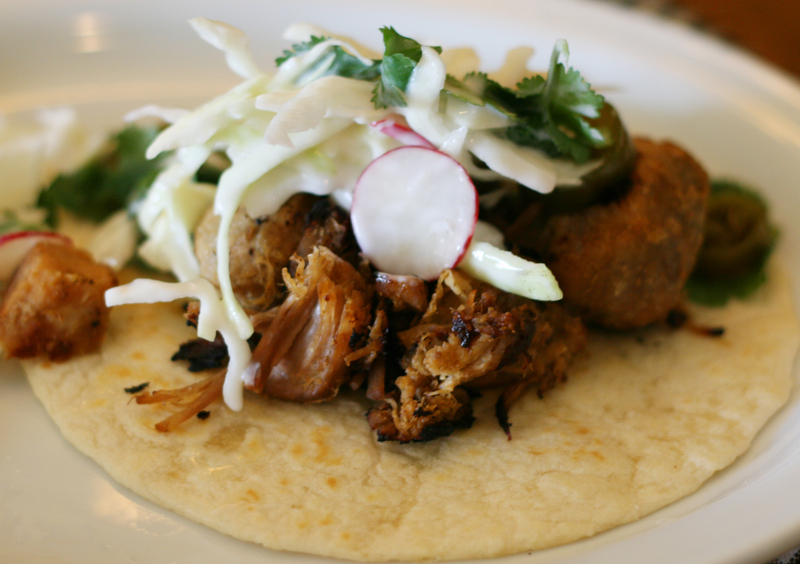 Your Carnitas will be calling your name…. so get the tortillas and your chosen ‘fixings’ ready to go. 2.5 kg (5 pound) boned pork shoulder cut in to rough 3cm by 3cm cubes. 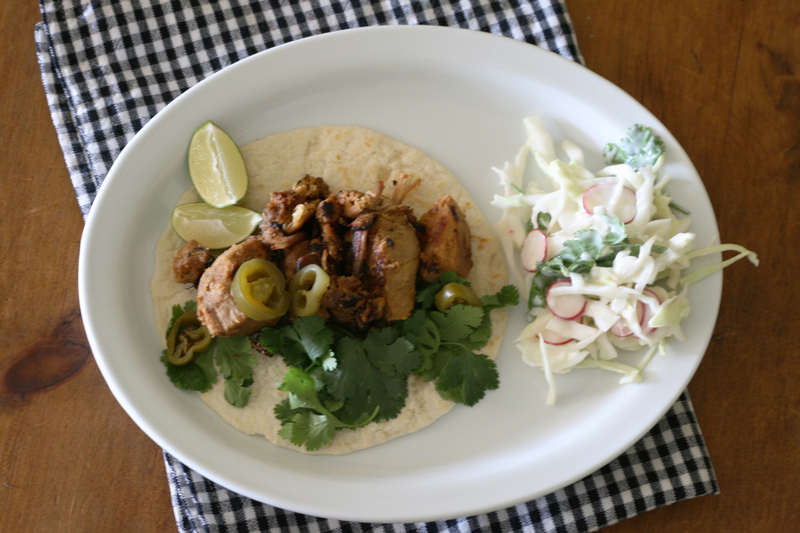 Serve with tortillas, coriander (cilantro), lime wedges, pickled jalapeños, some simple coleslaw or any of your favourite soft taco additions. Put all of the ingredients in to a heavy based or cast iron pot, and top up with enough water to just cover the meat. Bring the pot to the boil, and then reduce heat. Simmer uncovered for three hours, and then increase the heat to cook off some of the liquid. For the next hour or so turn the meat gently from time to time, until the liquid is low in the pot. The next stage is to reduce down and render the meat in its juices and fat. Just cook down the amount you need for that meal, and refrigerate the rest for later. On medium – low heat, a quiet sizzle, cook the meat down until it is browned and is caramelised on the outside, turning minimally. When browned all over, they are ready to serve. We have been sharing recipes for a while, inspiring each other with new ingredients and ideas. The idea of a tag-team cooking came up, and we thought it would be interesting, for us if nobody else, to document it. Each recipe leads to another idea. To another inspiration. Let the games begin.